Once you make this “cookie dough”, you’ll be wondering: Where has this recipe BEAN all my life? Blend about 3-5 minutes, until smooth & creamy. Add chickpea cookie dough mixture to a small bowl and fold in 1/2 cup no added sugar chocolate chips. 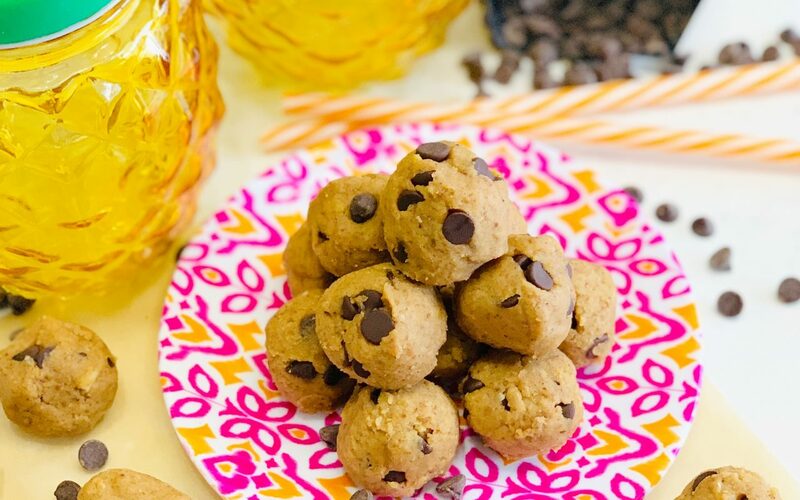 Form into 24 cookie dough balls. Store in an airtight container in the fridge for 5 days, or freeze for up to 3 months.